As usual, year-end music festival’s setlists are what a lot of fans care about before the show. “SBS Gayo Daejun 2018” is definitely the most anticipated show by K-Pop fans on Christmas Day. With a big line-up full of famous idols and artists, SBS’s year-end music festival is even seen a show with a bigger scale compared to award shows happened before it. Especially, a series of special stages with special collaborations are what the most expected this year. After the Red Carpet event, performances will start at 17:30 PM (KST). Right before the show begins, SNS is stirred up by a rumoured setlist. 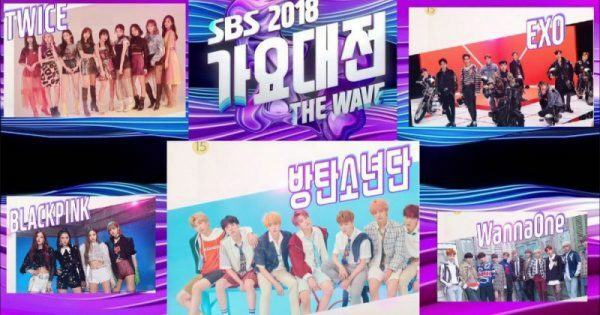 Like any other music festival, “SBS Gayo Daejun 2018” setlist immediately caught attention because everyone is curious about their favourites performance timeline and who will be the one to end the show. According to this rumoured setlist, EXO will be the group to end the show. Right before them are BTS, TWICE, BLACK PINK and Jennie. Unlike other show’s setlist, this rumour immediately starts a controversy online. First, many think that it’s unfair for a 8-year group like Apink to perform in part 1 of the show, before many of their young juniors. Adding to that, the fact that Red Velvet – a group that had debuted for quite a time and also one of the hottest group right now – will have to perform at the beginning of part 2, before many of their juniors. Due to these reasons, many fans deem this setlist as inaccurate because it doesn’t have some names that have confirmed their attendance like MOMOLAND or BTOB while names who haven’t confirmed their attendance appeared on the list. “SBS Gayo Daejun 2018” has officially started with the first collaboration stage of famous idols.